Darcy Bright, a restless young artist, receives a surprising birthday present from his elusive half-sister Fin: a ticket to the Soviet Union housed in a leather money belt. Together only briefly during their youth, Darcy and Fin are both estranged by the distance between them, and yet inextricably bound by the secrets of their childhood. So when Fin—ostensibly in Moscow on a fellowship to paint industrial landscape—invites Darcy to join her there, her wary brother doesn't resist. Soon after his arrival in the bleak Soviet winter, Darcy, already engulfed in Fin's mysterious new life there, becomes entangled in an extortion plot designed to change the course of Cold War history. And as the intricacies of their bond as brother and sister are revealed, Darcy uncovers Fin's involvement in an unexpected cause of her own, leading to a confrontation with profound and deadly consequences. 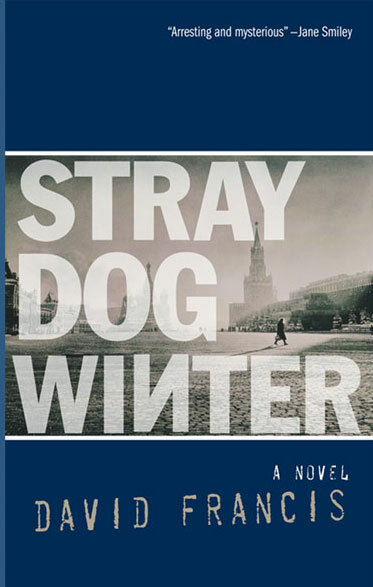 Atmospheric and suspenseful, Stray Dog Winter is a remarkable novel about love, passion, politics, and identity.